The iconic Hard Rock group have announced plans to move into the online gaming space. The US based, land based casino group has been quite busy recently with the expansion of their hard rocking empire. While their land based footprint has grown they now are planning to take on I-gaming as well. This is an ideal opportunity for them to flex their online muscle as US online casino gaming laws are starting to change, with four states already legalising online gambling. Other casinos have released their 2017 financials in recent weeks and it is clear that their online gaming revenues have been increasing steadily while many others have seen their land based revenues take a dive, most notably in New Jersey where the January land based revenue figures have dropped quite dramatically compared to last year. 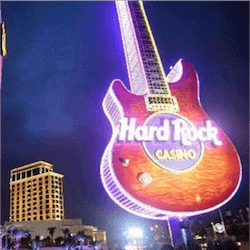 Hard Rock will be teaming up with the Gaming Innovation Group or GIG to start work on their new online casino project. 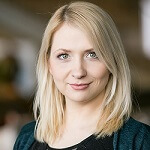 The project will be led by Kresimier Spajic who is the SPV of Hard Rock’s online division and it has to be said that this project is quite ambitious. They are looking to become one of the biggest online gaming providers and they believe they have the resources to do it. It may be debatable if they would be able to handle the capacity, but they certainly have the brand name to get their foot into a few doors. Whether they can live up to their own expectations remains to be seen but it is undeniable that the Hard Rock Group needs to innovate to stay relevant. They can’t remain stuck in land based gaming and expect to grow the company. To secure their future they must expand their business into new emerging markets. The timing may be a bit late but rather late than never. That said, Hard Rock has the foundation to build their online empire in their land based empire. They are the second largest casino brand in the US with 11 casinos, 24 hotels and 180 restaurants. They have 75 venues across the world and this excellent brand recognition should serve their new ambitions well. GIG’s main roles will be in providing stable and scalable digital portal for Hard Rock. Their back end support is further bolstered by their cloud service and their Performance Marketing B2B software. This partnership could certainly spell big things for both companies. They will be starting the project as soon as their CSIE licence application is approved by New Jersey.